Bob Spiel, UFI Chairman of the Board, acts as a catalyst for the organization to help facilitate the energy and creativity of the UFI leadership team, as well as help guide its strategic direction. He holds a Master’s Degree in Business from the Marriott School of Management at Brigham Young University where he specialized in finance and operations management. Bob is a consultant, author and nationally sought after speaker on leadership and customer service. 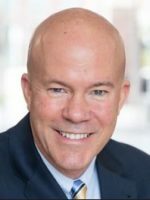 Throughout his career he has worked as a hospital CEO, surgical center CEO, as well as an operations director and COO for two mid-cap companies and a venture capital firm. 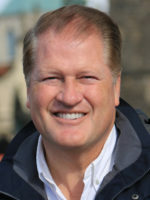 Bob is the founder and CEO of Spiel & Associates, Inc., a healthcare management consulting firm. He and his wife Judene are the parents of 6 children and the grandparents of 13. 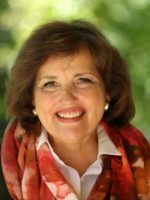 Dr. Jenet Jacob Erickson is an Affiliated Scholar at the Wheatley Institution and former assistant professor in the School of Family Life at BYU. 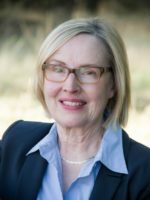 Dr. Erickson’s research specializes in maternal and child wellbeing and has been featured in news outlets including the New York Times, Slate Magazine, and the Today Show. She has authored a number of scientific articles and book chapters and presented at national and international conferences. In 2004, she was selected as a Social Science Research Fellow for the Heritage Foundation where she completed research analyses on non-maternal care for policy makers. Erickson received B.S. and M.A. degrees from Brigham Young University, and a PhD in Family Social Science from the University of Minnesota. She is currently a regular columnist on family issues, while she and her husband Michael enjoy their family life journey with two young children. 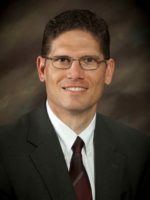 Dr. Ryan S. Gardner received a BA in English from the University of Wyoming (1998), an MA in Religious Education from Brigham Young University (2002), and a PhD in Education from Utah State University (2011). He has authored and co-authored numerous book reviews, articles, and book chapters on teaching and learning in religious education. He has also presented at numerous national and international conferences. He is currently a professor of religious education at BYU-Idaho. He has attended UN events with UFI to advocate for marriage and the family. He and his wife Kathryn have been married for 23 years and are the parents of six children and one granddaughter. Phil Marriott has served on United Families International’s Board of Directors since 2007. Phil has been involved in many entrepreneurial activities, including real estate development in Texas and Utah. He has worked primarily as a securities financial advisor and has provided insurance solutions as well. Mr. Marriott has served on numerous boards and commissions and been involved with various non-profits, including the CAMIE Awards – an organization that rewards Character and Morality In Entertainment. Mr. Marriott and his wife Cheryl have been married 37 years, and they have five children and seven grandchildren. Maurine Jensen Proctor knows family issues first hand as the mother of eleven and grandmother to 20. She has had a long and broad career as a writer, and with her husband, Scot, has published several best-selling books. They are the founders of Meridian Magazine, a daily updated Internet magazine that has been on the Internet for 20 years. She has created, written and directed several documentaries, wrote The Spoken Word that accompanies the Mormon Tabernacle Choir for 15 years and wrote a television series exploring family issues. She has been a writer for The Chicago Sun-Times and McGraw-Hill magazines. She and Scot lead tours all over the world several times a year. Scot Facer Proctor is the co-founder and publisher of Meridian Magazine an on-line publication with monthly readership that exceeds 500,000. He is the author, co-author or editor of 8 books. In his youth he was given the extraordinary opportunity to live in Ankara, Turkey for two different years. During that time he traveled extensively, studying and following closely the footsteps of the Apostle Paul. These experiences led to a lifetime of immersion in the ancient world and the scriptures and in cross-cultural family values. He continues to spend a great deal of time in the Middle East and the Holy Land–traveling there at least once a year. He is a graduate of Brigham Young University and received his master’s degree from Utah State. He and his wife lived in Washington DC for 11 years during which time he helped co-found a national family organization and was a member of the House and Senate Values Action Teams. He is actively involved in humanitarian work and projects in many countries. He and his wife, Maurine, are the parents of 11 children and grandparents of 20. They reside in Alpine, Utah. 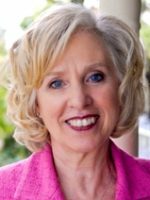 Carol Soelberg, UFI Board Member and Vice President of Organization Development, oversees UFI’s volunteers, internship program, and development of chapters. She has been with United Families International for over ten years lobbying at the UN, attending and speaking at World Congress of Families, organizing chapters, serving as state chapter leader, and as past President of UFI (2006-2008; 2010-Sept, 2013). Carol is the wife of J. Glade Soelberg, mother of 13 married children and grandmother to a growing number of grandchildren. She has a B.A. in Education and Home, Family, and Child Development. 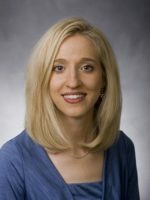 Camille Stilson Williams (J.D., M.A., Brigham Young University) worked as part of the Family Law Research Project at the J. Reuben Clark Law School at Brigham Young University, and has taught family law for undergraduates. Her research interests are related to women’s and family issues. Her publications have supported the sanctity of human life and the necessity of the natural family for the flourishing of individuals and societies. She currently works as an assistant city attorney. She and her husband, Richard, are the parents of five, and the grandparents of twenty-four. 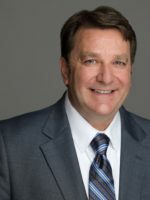 Brad Wixom holds a Masters of Business Administration from the Marriott School of Business at Brigham Young University. Brad has worked in the computer industry, and as CEO/President of a start-up company with sales worldwide. Brad moved into the Energy Industry to work more closely with his family serving as a Director and co-owner of two different organizations. Brad has spoken internationally at United Nations meetings and the World Congress of Families. Brad coauthored a chapter for publication in the book Family Capital and the SDGs: Implementing the Sustainable Development Goals. Above all this, Brad views his biggest accomplishments as his marriage of over 30 years to his best friend, Wendy, and the close relationship with their five children, spouses, and grandchildren.